Considering Brighton landscaping but not sure it is worth all the fuss? One of the most important things we tell homeowners is to think about what part of their home really makes the first impression. People get too caught up in thinking about how wonderful the interior of the home looks. In fact so much so that careful consideration is given to choosing details like window treatments which may be seen from the outside as well as the inside. And they may have given some thought to the color choice of the house and possibly even nice windows to help it look good. But now it is time to think to the bigger picture. Well meaning homeowners even swear they can commit to taking care of details like regular lawn mowing, but are rarely able to follow up with that promise. Add to that total neglect for thinking of other aesthetic details of the exterior of the home and you are not likely to have to total package dream home you intended to create. And this is where proper landscaping comes into play. It is about letting professionals take over important jobs like giving you the perfect, green lawn that will be the envy of the neighbors. Or trimming hedges even if that means first planting them in place for you. In fact it may even mean setting up landscape lighting to illuminate your yard and offer you the best in safety and security. At Rainmaker Irrigation we take great pride in offering the top level services we do. Making your home or commercial space look its best is as important to us as it is to you. Plan for winter months too. Although your lawn may not look its best during this time of year of can still look good. And with scheduled seasonal cleanup your holiday decorations will be the center of attention and not your accidental collected of dead and rotting leaves. 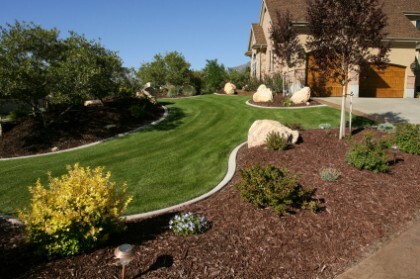 There are plenty of companies that makes claims to offer Brighton landscaping services. The problem is they really mean they offer lawn cutting and edging services. At Rainmaker Irrigation we are the bigger picture team who can help to design and create the look you want for the outside of your home. Whether you know exactly the look you want or don’t have any ideas we can help you bring s cohesive and attractive design to life. At Rainmaker Irrigation we take great pride in offering the top level services we do. Making your home or commercial space look its best is as important to us as it is to you. Once we schedule a consultation we can begin to discuss ideas we have for your Brighton landscaping. If you are looking for Brighton Landscaping experts please give us a call at 734-564-1373 or complete our online form.